This basil bacon hash is the perfect way to start the day. 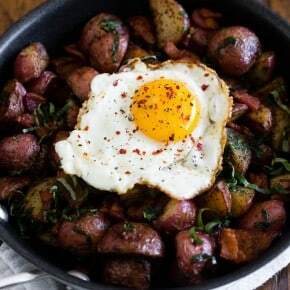 Full of crispy red potatoes, fresh basil flavor and topped with a runny egg. 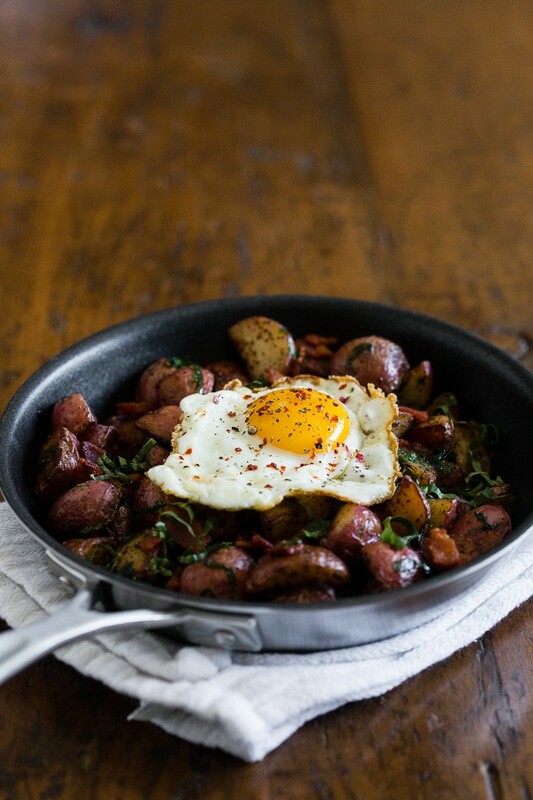 Who wouldn’t want to start their day with this delicious hash? Here is a thing about me that you might not know. I’m horrible at growing herbs. Like, really bad. Every year I try to grow basil it starts off great. It’s strong, it’s green, it produces the leaves in which I steal and then it hits. All of a sudden the stem turns black and boom. It’s dead. Every. Single. Year. I swear, if my life depended on me keeping my basil alive I would lose the battle. The only thing I have good look with is growing mint. But let’s face it – that’s only because mint is a weed. If only basil was a weed, sigh. Now, we have established my failure at growing basil BUT at least I can find it in the store so I can make awesome breakfast dishes like this basil bacon hash! This dish is your breakfast dreams come true. Super crispy red skinned potatoes, LOTS of crispy bacon, fresh basil and a runny egg. I could eat this every single day and die happy. Plus who doesn’t love carbs with meat? I also sprinkled the tops with cracked pepper AND Aleppo pepper flakes because it needs just a pinch of heat to bring it over the top. Now, of course, you can skip the runny egg BUT what would you want too? Why would you ever not want to #putaneggonit? This basil bacon hash is the perfect way to start the day. 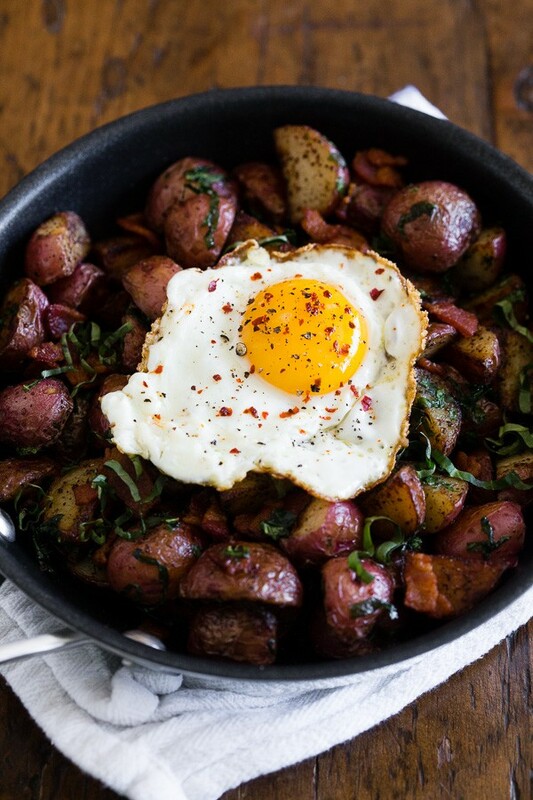 Full of crispy red potatoes, fresh basil flavor and topped with a runny egg. Get the FULL basil bacon hash recipe over on the American Kitchen by Regalware blog! I have soo much basil in the garden right now!! I can’t wait to make this! 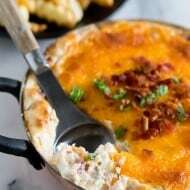 It looks like the perfect weekend dish! I cannot grow basil either! Sigh, at least the rest of my garden is coming along 🙂 My husband would be all over this dish as it is his dream breakfast! Lucy girl–this cookware looks great! And I am right there with you—I can’t grow basil–or anything else. It is pitiful. Basil is my absolute favorite herb but I’ve never thought to add it to breakfast hash, gotta try that. And I agree, runny eggs are the best! You can’t go wrong with a good hash, but when you throw basil and bacon into the mix?! WANT! I wish I had this for breakfast right now! That egg too! Man. I agree with you- basil is not the easiest to grow! I think it all has to do with when and where you pinch it, but I have not been able to figure out the secret formula. We try every year but it never takes off and we end up supplementing with the grocery store stuff. 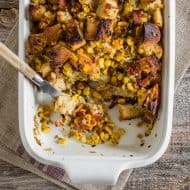 This recipe is a total winner! Perfect weekend breakfast. Congrats on the awesome gig! Oh man, I wish I was starting my day with this. Great flavors. Yum! 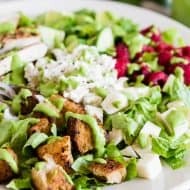 what an inspired recipe! I love eggs for breakfast but with the flavours you have added you can easily make this for lunch or dinner! Great creation! I love anything that is cooked with Basil! This will make a great breakfast! Skip the egg? No way, man! This looks like a great morning meal! What a delicious dish! We love potatoes in this family! I want to eat a mountain of this hash. It looks so inviting, and the photos are gorgeous. I’m a potato loving girl, so we eat them constantly. Hooray for other people growing beautiful herbs and produce! 🙂 And hooray to you for making this, it sounds amazing. I can just imagine how the basil brightens up this comfort dish! I’m awful at growing herbs too…..ok….I’m awful at growing everything haha. Ps. this has is totally happen for brunch this weekend! Basil is a tough one. My mom grows whole basil hedges and I can’t get them to stay alive for very long! I found a good spot in the garden – it’s finally growing nicely but now the snails are after it. You just can’t win! 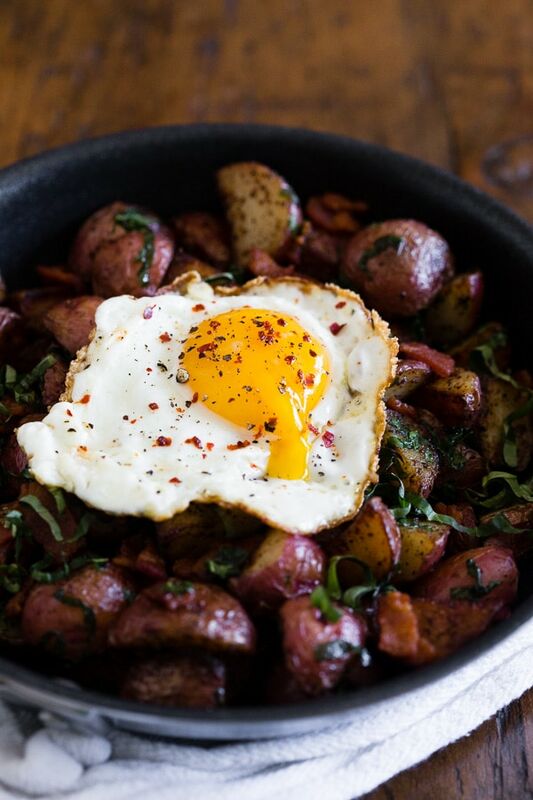 This basil hash looks extra tasty! I so want me a plate of it! !